There are two biggest advantages of MS Excel for business users. MS Excel was re-introduced in 1987 as a spreadsheet program to beat Lotus1-2-3 (Lotus 1-2-3 was way popular than previous avatars of MS Excel). The thing about MS Excel’s GUI (by then) made it so popular that most Windows and Mac users started using MS Excel as a default spreadsheet program. After MS Excel launched, this tool helped businesses tremendously, saving their time, money and energy in managing and maintaining data, primarily the financial data). What do we see today? The business environment has changed drastically, business strategies have been changing very fast, compliance requirements have become more stringent. There are sophisticated tools to help business grow effectively, to operate, to comply and so on. Yet, many businesses are seen using MS Excel. What we do not realise that as the business dynamics have changed, MS Excel is not suitable to do the same job it was doing earlier. It was designed to be a spreadsheet program, MS Excel is being used as different applications (like CRM, ticketing tool, executive dashboard, project management tool, sales reporting, etc). MS Excel was neither intended to be used as these applications, and let me tell you frankly, nor it is doing such jobs any better. If your organization is still one of those businesses, you have to take a look at this article and think about finding an alternative to Excel for your business. Just the way it has some advantages, there are disadvantages of using MS Excel. Let’s see how MS Excel can be bad for your business and things can turn so much bad that it can spoils your business. Let’s accept this: We have been using Excel just because it is there, Isn’t that true? MS Excel has been designed and developed as a spreadsheet tool. And if we are trying to make it work in any different way, it is not going to give us the best result compared to the alternatives available for us. There are cloud based software for most application areas and many of these software are available as integrated solutions. Instead of creating, editing and maintaining so many separate spreadsheet for each of these application (and again separate for each project) is just going to blow you away. Cloud based software much better alternative to Excel to perform specified business application area. Simple browser on your laptop or mobile application on your iPhone or Android based phone/tablet is good enough to use such online software. To set the context, let me share few studies, research and law/act regarding spreadsheet errors. Raymond Penko, A professor at University of Hawai researched and identified that close to 90% of spreadsheet contain errors. What was more worrying, these errors were left undetected even during audit. Same study has been echoed by MarketWatch in 2013 . Robert Kugel at VentanaResearch, observed that as spreadsheet is used by more than one person, edited, re-edited, cracks begin to appear. So much so, the Sarbanes-Oxley Act of 2002 has enforced corporations to examine the validity of their spreadsheets, because of the structural, user errors can be induced in reporting of data. Thus Excel/ spreadsheets are more likely to have/induce errors and it is no surprising. There are so much of manual data entry, copy-pasting modification of data that keeps happening while using Microsoft Excels. Sharing of Microsoft Excel files, changing cells, referencing different data sources, frequent update to those cells can easily result in errors. Change done in a Excel file over the period are highly difficult to troubleshoot, identify or reverse. In plain simple language, using spreadsheet application like MS Excel for business can lead to reporting of erroneous data and can cost your business lot of money (JP Morgan has lost substantial money in 2012 and in a way attributed the loss to use of spreadsheet program ). The important question you should ask is: What is the alternative? Simply start using cloud based software so that your data is updated and backed up immediately. With cloud based tools, you can completely get rid of errors introduced because of copy-paste operations. As cloud based tool is accessible to all stakeholders, everyone has view/access the latest information. Microsoft Excel was introduced as a personal productivity tool. MS Excel improved business efficiency in the era when companies were managing their accounts with pen and paper. Compared to pen-n-paper era, Excel has definitely saved time for businesses. However, we must ask, is it the most efficient tool to grow and manage your business today? Looking at Mentana Research, especially “when it comes to important spreadsheets that people use over and over again to collaborate with colleagues, on average people spend about 12 hours per month consolidating, modifying and correcting the spreadsheets. That’s about a day and a half per month – or about 5-10 percent of their time – just maintaining these spreadsheets.” . In reality, we have seen project team, project managers spend more than 20 hours a month just doing spreadsheet job. Using online software, you can very easily create, generate reports on billing, budgeting, timesheet, risks, sales, leads and so on. Creating a report takes hardly few seconds or minutes. You can do it, all by yourself. You can save so much time simply switching from Microsoft Excel to online tools. I have been an avid user of Microsoft Excel spreadsheet; at the same time I also understand that Excel has its limitations. If you do not know or defy those limitations, you better get ready to pay the price for using it: either in terms of erroneous spreadsheet leading to financial losses (like JP Morgan reported in 2012) or making business mistakes based on data reported using spreadsheet or errors which simply go undetected, unaudited, or by wasting hours of time trying to make Excel spreadsheet to do things which it was never designed for. As your project data will start accumulating, your prospects/leads list grows, billing/sales number keep changing every year; having all such cross-referenced information in a Excel spreadsheet will not only be overwhelming (time consuming) but it will also be unmanageable. Data security is a very critical concern for any business today. If your important business information is stored as Excel spreadsheet on your computers, laptop, it is highly vulnerable and pose potential risk. The vulnerability or risk can be attributed to hard disk crash, data corruption because of malware or some disgruntled employee manipulating spreadsheet data. 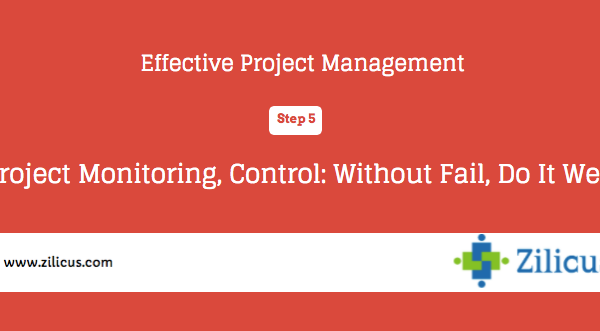 Let me switch the context a bit and share few things about MS Excel in project management. Though project management at its core is still about timeline, delivery, resources, cost, etc; however the context has changed significantly. Project managers are not seen as merely operations guys, project management office (PMO) is now considered a inseparable part of sustainable business; strategic project management, project governance have reinforced the undeniable contribution of right project management approach in driving business. 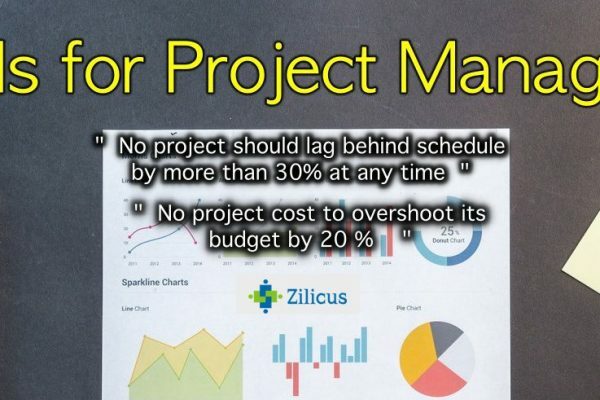 Conventional style of creating spreadsheet for projects, circulating project plans in Excel, calling team members to update spreadsheet, gathering project data by central reporting team is clearly massive loss of productivity, time and energy. Change is unevitable but sometimes it is really good for everyone involved. So What’s The Alternative to Microsoft Excel? You can start using cloud software and save yourself from all these hazards. With online cloud based software, your data is accessible only in a secure way, stored on reliable remote servers, and access to that data is logged/tracked so you will know who changed, what of the data and when.